As part of my series on “Things new X++ Developers Should know”. I have been writing a few basic howtos and checklists for new X++ Developers. These are really meant to be simple step by step guides to get new developers more productive by exposing the little secrets of the AX development that sometimes take years before discovering. 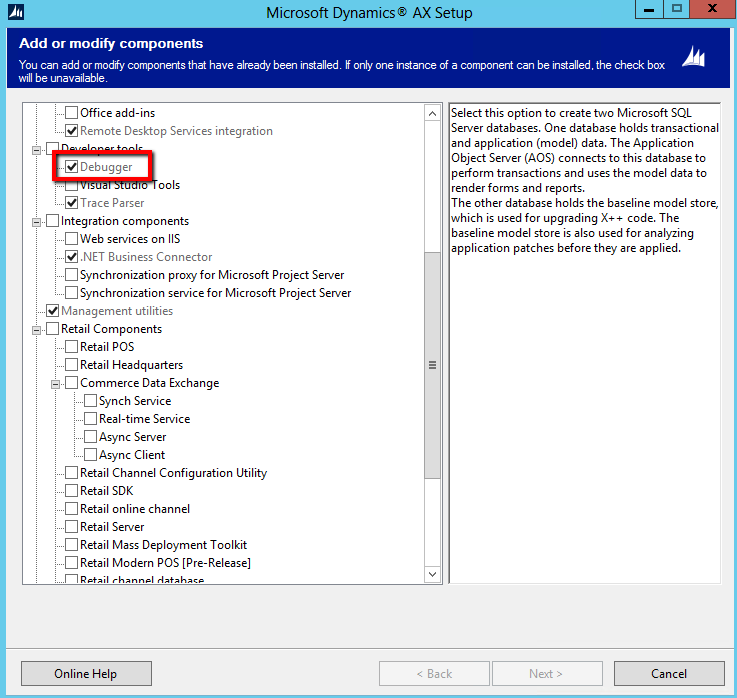 Today’s post is a checklist of things you need to have in place to ensure that you can debug X++ code. 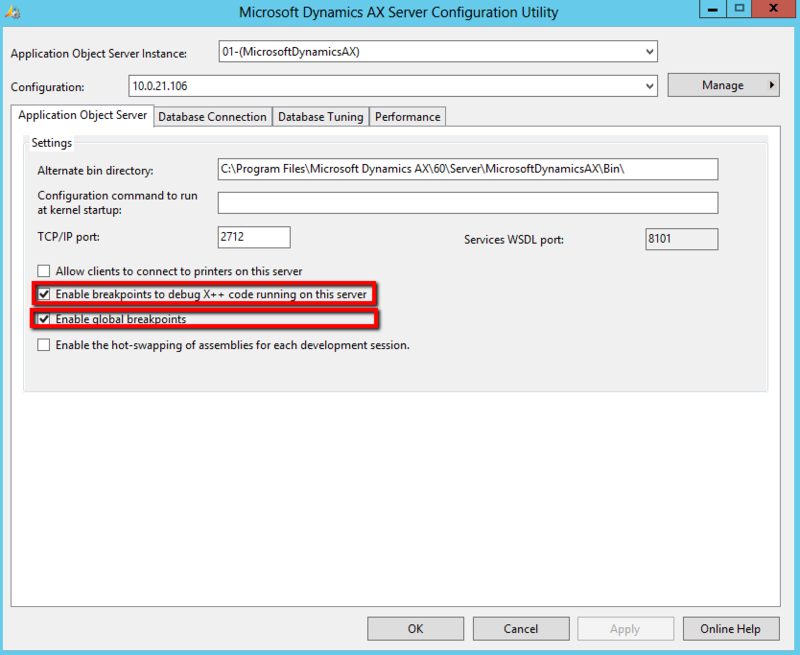 Ensure your user is part of the local “Microsoft Dynamics AX Debugging Users” user group. 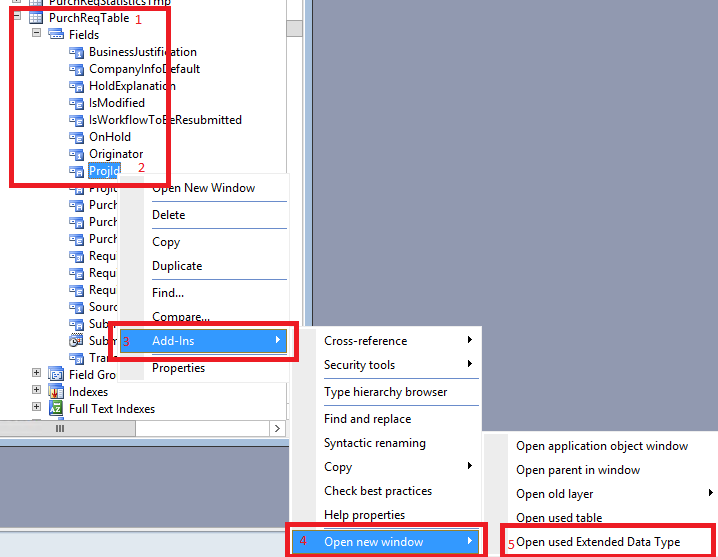 On the machine which you are running the debugger on Edit your users and groups. 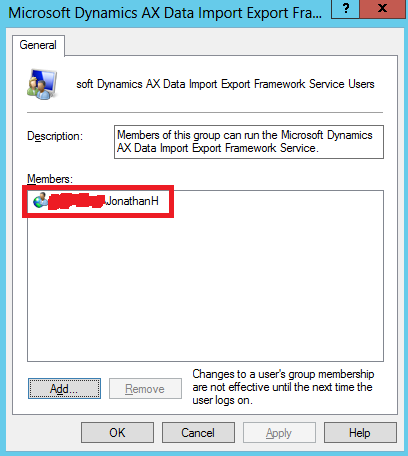 Expand the “Groups” section and double click on “Microsoft Dynamics AX Debugging Users”. Click “Add” and enter your domain name and click ok. 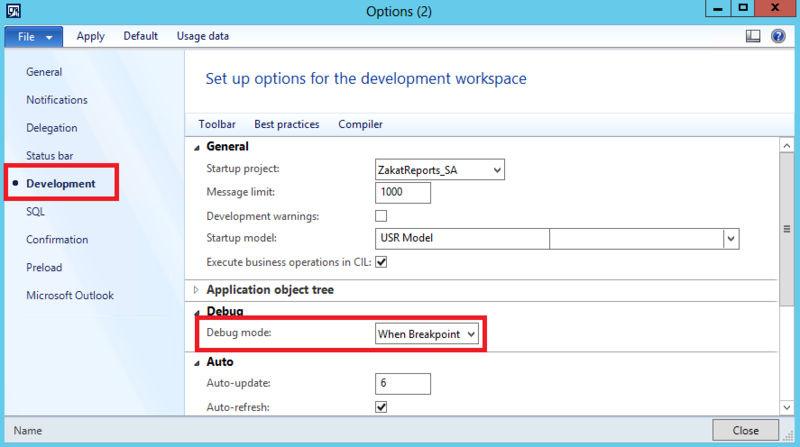 Enable client debugging options (optional/advanced for business connector debugging). 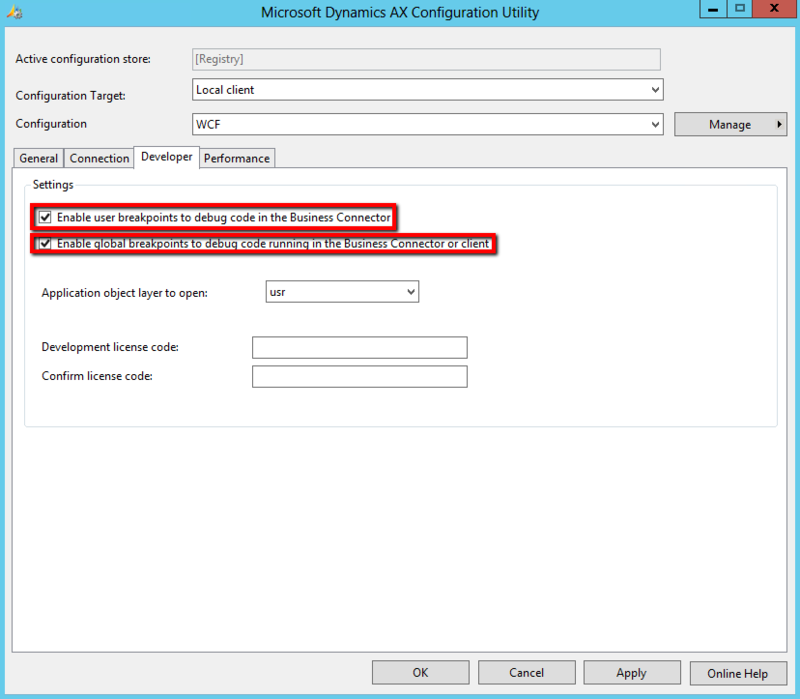 In the Microsoft Dynamics Client configuration console in Windows administrative tools enable the following: “Enable user breakpoints to debug code in the Business Connector and Enable global breakpoints to debug code running in the Business Connector or client. Finally and most obviously you need to create breakpoints. You can do this in three ways. Navigate to the line of code and press the “Red circle” on your toolbar. Finally you can physically type “debug” in your code to create a breakpoint. However this will enable it for all users in the system, not just for yourself. I hope this checklist will help somebody stuggling with their debugging in AX. 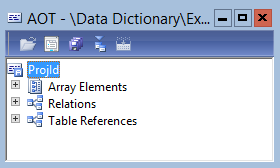 Please let me know if there are additional tips for debugging that this list may be missing.